Product Weight (lb.). Accessory tray for convenient storage of accessories. Celestron PowerSeeker telescopes are a great way to open up the wonders of the Universe to the aspiring astronomer. The PowerSeeker series is designed to give the first-time telescope user the perfect combination of quality, value, features and power. Amateur astronomy is a great family hobby that can be enjoyed year round, and Celestron s PowerSeekers are the ideal choice for an affordable and high quality telescope that will provide many hours of enjoyment for the entire family. PowerSeekers are quick and easy to set up - even for the novice. No tools are required for assembly! 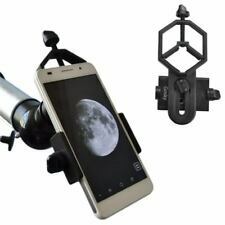 Their sturdy equatorial mounts are perfect for tracking objects in the night sky, and the collapsible alt-azimuth mounts are perfectly suited for terrestrial (land) viewing as well as astronomical use.